In Central Oregon, we don’t just live our lives – we experience life. We ski in the morning, kick up dirt on our mountain bikes in the afternoon, then wind down the day with a pint of our favorite craft beer. As the saying goes, life is good here in the high desert. But what happens when “good” becomes “good enough” – when chronic pain, injury or dysfunction gets in the way of your evening walk, playing with the kids, disk golfing with friends or participating in this weekend’s charity run? How do you get back to the everyday experiences you love? Obstacles are a part of life, and that’s why we created Alpine Physical Therapy. Our team of licensed physical therapists and certified trainers cherish the recreational and social opportunities of this region, and it’s their mission to see that everyone here is able to experience life to its fullest – every day. It’s what we do, and we do it well. So go on. 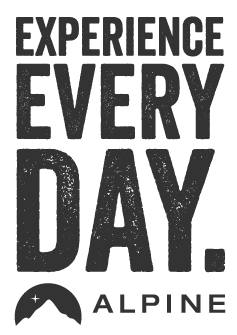 Experience life, every day. That’s the Alpine Experience.